Tour the beautifully designed home of 522 West Colorado Avenue – Set on a large south-facing parcel in historic Telluride, this outstanding residential compound is steps from the center of Town, Gondola, skiing, trails and restaurants. The entire property was beautifully remodeled by the current owner, who is a highly accomplished interior designer. Wide open living areas, complement hotel-quality master and a guest suites, while the two-bedroom guest house is a jewel unto itself. Striking views of the ski area & box canyon are framed in each window, while the over-sized motor court can accommodate up to six vehicles. Tour the exceptional luxury ski home of 129 Sundance Lane – Located on a private situated ski-in/ski-out parcel, along the groomed Sundance Ski Trail, this custom-built family home features the timeless ambiance of a mountain lodge, with the sophisticated features of the finest residences. The large open floor plan is ideally-suited for relaxed entertaining, while the gourmet kitchen is perfect for the vacationing gourmet.Large spacious rooms and private guest suites are perfect for friends and generations of family in both winter & summer. Seamless ski access to the back door; covered porches and open patio & deck areas bring the alpine setting close to home; expansive recreation room with wet bar and adjacent bunk room is perfect for family fun. In light of this, we posed a simple question to six people who live and love Telluride – “How would you describe Telluride with a single word?” Their answers were honest, insightful and real. Their stories were framed to create a six-part video series. Beginning October 15th, we’ll release one video every Wednesday, for six weeks. These people describe the Telluride experience in a way never before. 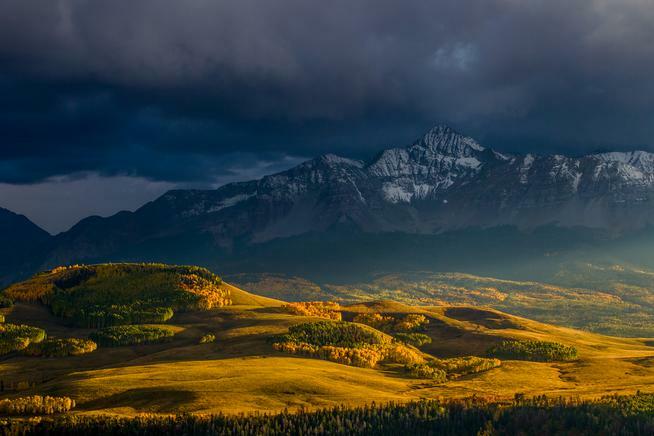 It’s called “Telluride in a Word”. Simply put – it’s the story of the Telluride experience… one word at a time. [Encounter] is the second video in the series. This video provides a local’s take on the beauty, art and nightlife that surrounds us in winter. It presents what you may “encounter” in Telluride. Quentin Tarantino’s proposed “The Hateful Eight” movie got more love Thursday as the San Miguel County Commissioners approved a special-use permit to let the filmmaker use the old Schmid Ranch, 10 miles west of Telluride. The permit adds speed and parking limits, plus a $25,000 bond for road repair and revegetation. The nearly 900-acre high-mesa ranch, homesteaded in 1882, must be returned to its original state after filming is completed. Tarantino’s post-Civil War flick, which is budgeted at $44 million, last month qualified for $5 million in state incentives. If things go smoothly, the crew could start moving equipment to the area next week, associate county planner Karen Henderson said. From kitchens to lounge and recreational areas, many spaces that can be created indoors can be recreated and re-envisioned for the outdoors as well. This issue of RESIDE explores the ins and outs of chic outdoor living. Click here, or above, to open and explore RESIDE, Master Edition 2014. MOUNTAIN MAKEOVERS A $1.3 million investment in Telluride Ski Resort’s snowmaking capabilities means more snow in high-traffic areas off of Lifts 4 and 5 (the beginner and intermediate areas in the heart of the trail system). ALL-IN APRÈS Grab a seat at the recently improved SMAK Bar, located within Hotel Madeline Telluride, where you’ll enjoy live DJs, cocktails and s’mores. Be sure to try the specialty Revelation cocktail: peppermint schnapps-spiked hot chocolate served in an oversize mug garnished with chocolate latticework, on which three boozy truffles rest. 1. The bar at the historic New Sheridan Hotel offers good drinks and a fun Western ambience that speaks to Telluride’s rich mining history. 2. Kind of like Telluride’s country club, The Peaks Resort & Spa is an awesome place to hang out and feel pampered. It has an incredible gym, and an indoor/outdoor pool and spa. 3. I love going to see a movie when I’m in Telluride. The Nugget Theatre is old, and the movies that play there have already been out for months, but it’s always a fun experience. 4. Cosmopolitan Telluride is a fine-dining restaurant on the ground floor of the luxurious Hotel Columbia. It’s located downtown by the gondola, on Gus’s Way, the street named after me after the Olympics! 5. If you’re looking to shop while you’re in town, I recommend checking out Pip’s Fine & Funky Consignment. My mom owns the store, and it’s a fun mix of designer clothes, vintage, costumes and everything in between. RUN OF YOUR LIFE Intermediate skiers will love the See Forever Trail. Take Gold Hill Express (chair 14), and ride up to 12,255 feet where the run begins. Ski the ridgeline while admiring the deep couloirs and jagged terrain of Bear Creek to your right and the Wilson Range to your left. Advanced skiers looking to earn their turns should try Palmyra Peak. Ride Prospect Express (chair 12) to 11,815 feet; unclick from your skis or snowboard; and start the 1,505-foot hike to the top. Once there, get ready to descend more than 1,000 feet of vertical drop over untouched powder. 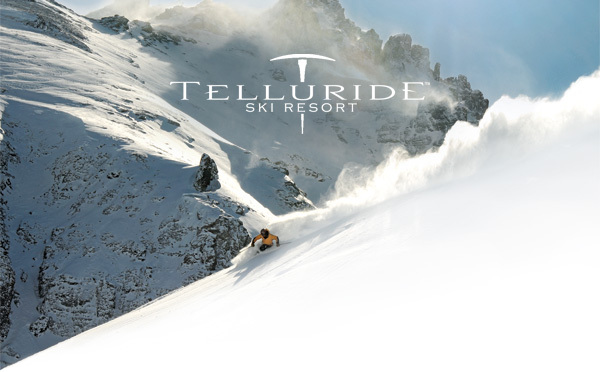 Beginning October 15th, Telluride Ski Resort will release one video every Wednesday, for six weeks. These people describe the Telluride experience in a way never before. It’s called “Telluride in a Word”. Simply put – it’s the story of the Telluride experience… one word at a time. To visit Telluride Luxury Properties click here.